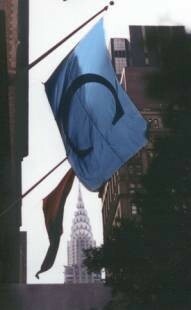 Welcome to the 26th issue of the Columbia College Class of 1963 eNewsletter. We received the very sad news that Stephen Bruce Bauer died on March 18, 2007. Steve had joined us at several of the Class of '63 lunches at the Columbia Club, and many of us had a chance to renew their friendship with him, exchange tales of those long-away day on Morningside, and catch up on news about his children and grandchildren. Steve had seemed in great shape, and full of joy and life. His death is a sad and sudden reminder of our mortality. "Stephen Bruce Bauer of Pound Ridge, NY and Naples, FL, born November 5, 1941, died suddenly on March 18, 2007. He was 65 years young. At the time of his death, Steve was managing director of RSM McGladrey in Stamford, CT. He was also a member of the Board of Directors there from 2000-2004 and the former tax partner-in-charge of the New York/Connecticut economic unit. Steve graduated from the College in 1963 and the Business School in 1964. Steve was the adored father of three Columbia College graduates: Diane CC ’88 (married to Eric Orlinsky of Baltimore, MD), Lauren CC ’90 (married to Daniel Zinman of Harrison, NY) and David Bauer CC ’97 of New York City. He was also the cherished grandfather of Rachel, Charlie, Matthew, Samantha, Alexandra, Sara and Ava. Steve was the beloved son of the late Shirley and David Bauer; loving husband of Linda, and former husband of Marian Bauer (nee Mandel) BC ’63. Born in the Bronx, Steve graduated from Stuyvesant High School. He played both baseball and basketball at the College remained an avid athlete throughout his life. Steve was a popular member of Tamarack County Club in Greenwich, CT, and The Club at Pelican Bay where he pursued one of his life-long passions – golf. His other passion, his grandchildren, permeated his life’s every other moment. Steve was smart, charming, fun, warm and generous. His love of life was contagious and his smile could light up a room. Memorial contributions may be made to the Columbia College Fund"
Our condolences to his wife, Linda, and his family. If you would like to share your memories of Steve, please send me an email and I will publish them here. Here is a picture of Steve at the April 2006 Class of 1963 lunch. He is on the far right. 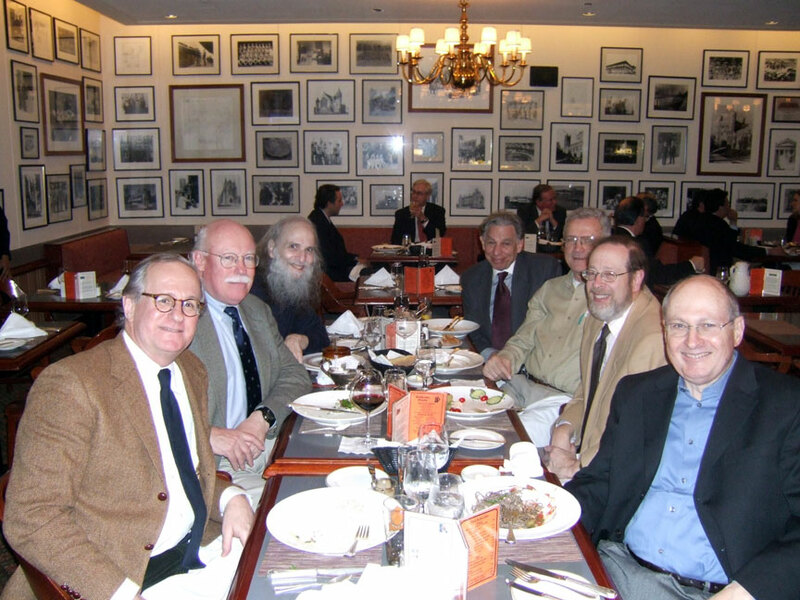 Don Margolis attended last month's lunch (see below), and asked an embarrassing question: "Did you read the last page of the March issue of CCT, and who wrote it?" We were all a bit fuzzy on that, which is very bad, because Don wrote it. "Career Education: New Challenges, New Resources" described the current state of the Center for Career Education (CCE), which sounds far better than anything in place when we were undergrads. Don is the chair of Career Programs for the Columbia College Alumni Association. If you missed the article, and can't find your March issue, you can locate it online at http://www.college.columbia.edu/cct/mar_apr07/corner.php. It would be great if some of you would join me in the Parade of the Classes on Class Day, Tuesday, May 15 at Columbia. Come for an excellent continental breakfast and mimosas at 8:00 AM in the Satow Room in Lerner Hall, join the Parade and help hold the Class of '63 flag, and then stay for the Class Day speeches if you have the time (I got drenched last year listening to John McCain..
As I mentioned in the last eNewsletter, the new web site is still in its early construction days. I intend to add separate pages for each classmate in the Columbian section. I will add these as I receive a contribution from you (or you attend one of our Class of 1963 lunches). You can always email me at pauln@helpauthors.com. Please join your classmates for an informal lunch at the Columbia Club every second Thursday of the month. It is our hope that these gatherings will renew old friendships and foster improved relationship with our class and the College. I hope you can all join us at the next lunches on Thursday, April 12 and May 10. Let me know if you will attend so that we can reserve a big enough table; RSVP to Paul Neshamkin (pauln@helpauthors.com). On April 12, a sodden and miserable day, 4 brave classmates gathered at the Columbia Club Gill Room for lunch. The 4 who attended included regulars Paul Neshamkin, Larry Neuman, and Tom O'Connor, and first time attendee Don Margolis. We were joined by a small group of members of the Class of '64, whose numbers were also decimated. They included Marty Isserlis, Fred Kantor, who actually started with our class, and Norman Olch. We see many of the '64ers as they copied our lunch schedule and also meet on the second Thursday of each month. In future, it might be interesting to try to bring together a larger gathering of the classes that overlapped our years at Columbia. 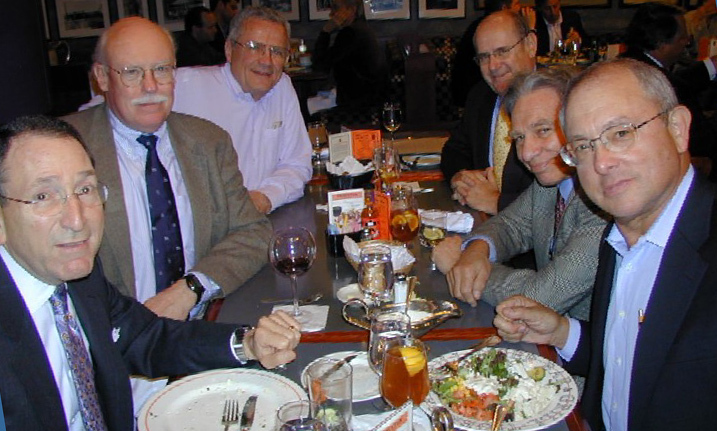 (From left to right) Norman Olch '64, Paul Neshamkin, Fred Kantor, '64 (originally '63), Larry Neuman, Tom O'Connor, Don Margolis, Marty Isserlis '64. As I have done for the last few issues,, I will add notes as they are received, so please send me some. Nothing much here again this month. So come back later this month and visit this page to see if you, or your classmates have sent in some new additions. Please send in your notes and pictures, and I will add them immediately. Sorry, little news from you since last month. Send me something today, and I will try to get it into the July Columbia College Today (my deadline is tomorrow, Thursday, May 3). Lee Lowenfish follows up with the following about his latest book, Branch Rickey: Baseball's Ferocious Gentleman, "Thought the baseball and history fans in the group would like this review, http://www.sny.tv/news/article.jsp?ymd=20070430&content_id=1428034&vkey. After my record-setting Labyrinth bookstore reading near Columbia in early April, I'm at Yogi Berra Museum Sunday afternoon May 20th at 3P and at the Brooklyn Bookcourt bookstore on 163 Court Street (between Pacific and Dean Streets) on Monday night June 18 at 7P." Lee has since added the following dates for his book tour: Mon June 4 at 7:30P at Prospect Park YMCA 357 9th Street - Park Slope near 6th Avenue. Jerry Epstein had the remarkable experience of singing a concert of American traditional folk songs in China last summer. He had a contact with David Kornbluth '70 who has been the US Consul General in Shenyang in the northeast of China. After some discussion, David invited Jerry to do a concert through the consulate, and Jerry reports it was quite an amazing experience. He also got to meet and exchange songs with a family in Shenyang who carry an ancient tradition of singing and story telling, known as "Drum Story".